We are manufacturers of handmade hair combs which are used by stylists and recommended by trichologists. 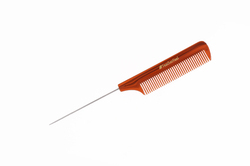 Seamless combs aid fast and precise cutting with maximum glide. Contact us for further details. Our tail comb is seamless and aids cutting and styling. Made from cellulose acetate it is virtually static free. Call us for details. We are manufacturers of pin tail combs which are handmade and seamless. We use prime grade materials for precise and fast styling. Contact us for further details. 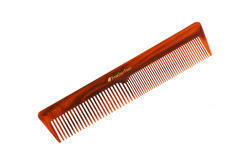 We are manufacturers of black handmade combs used by professionals. Please call us for further details.